Lock in a great price for B&B Casanita – rated 9.5 by recent guests! Exceptional attention to the details in every respect. Extremely comfortable room with nice view of the surrounding city from the common area on the rooftop. Pictures simply do not do justice to the facility and to the warm inviting staff. WONDERFUL EXPERIENCE! The location is excellent, at the very top of the hill. Outstanding views from the roof decks. Our room was ground floor, and was very appealing and comfortable, and was just as shown in the photos. The owners were very kind, and we had a much better than average breakfast. A beautiful place in a lovely town. The castello is not open to the public and the road is a dead end, so we had no traffic noise at all. The town is well worth two days of walking and exploring. The hotel was beautiful, clean, cool, comfortable. Barely saw another guest the whole time. Cute balcony, good location up on the hill. Super beautiful roof, although they could use an umbrella up there because of the sun. The cornettis/pastries at breakfast were amazing. Kind hostess - I accidentally packed the air conditioner remote and took it with me and she was super nice about it. 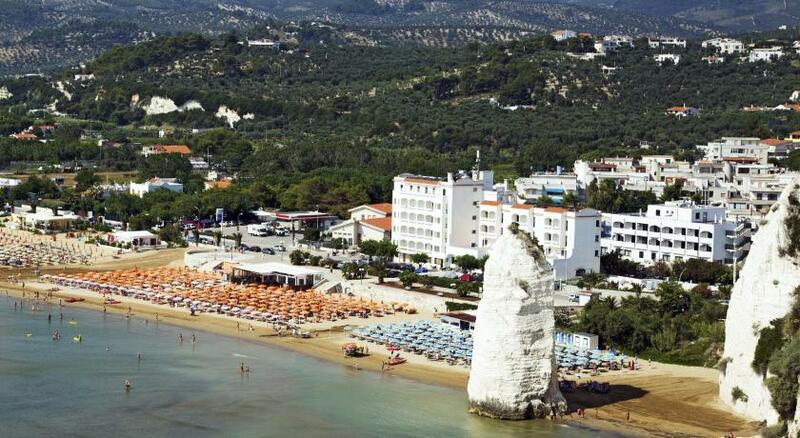 Excellent choice in vieste, perfect location. very comfortable and stylish decor. Clean, well located, lovely terrace, great hostess, stylish modern rooms and bathrooms. Getting to Vieste is a challenging drive but well worth it. Casanita is just between the church and the fort, its a centuries old house with just 4 rooms, restored a couple of years ago in beautiful taste, very simple italian modern. Great breakfast very accomodating as we had to leave so early. A beautiful and quiet location on the hill of Vieste town, a terrace with the top view of the beaches and historical town. Breakfast on the sunny terrace. The room in the ground floor was very nice equipped in a historical style. Air-conditioned, an excellent room service. A lot of restaurants, shops, pizzerias nearby. Parking on the street. Es war alles sehr, sehr geschmackvoll eingerichtet, Doppelbett mit Zudecken waren sehr gut. Die Dusche war wie eine Grotte und somit spektakulär. Die Dachterrassen waren (mit modernen Sitzmöbeln) beeindruckend; mit herrlichem Blick auf die Stadt und das Meer; die Ränder waren schön beflanzt. One of our best sellers in Vieste! 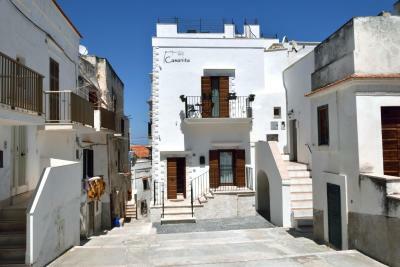 B&B Casanita is located in Vieste, 2,650 feet from Vieste Harbor. It features 2 private terraces with panoramic views of the sea. Pizzomunno Beach is a 10-minute walk away. All rooms come with a flat-screen TV. Enjoy a cup of tea while looking out at the sea or city. Every room is equipped with a private bathroom. For your comfort, you will find free toiletries and a hairdryer. B&B Casanita features free WiFi throughout the property. Umbra Forest is 1.6 mi from B&B Casanita, while Spiaggia di Scialmarino is 3.1 mi from the property. When would you like to stay at B&B Casanita? This double room features vaulted stone ceilings, a balcony, tile/marble floor and air conditioning. This double room features soundproofing, air conditioning and mini-bar. House Rules B&B Casanita takes special requests – add in the next step! Please inform B&B Casanita of your expected arrival time in advance. You can use the Special Requests box when booking, or contact the property directly using the contact details in your confirmation. Some comments, rather than criticisms; the old town of Vieste is on a hill so many streets are steep, Be aware that all walking involves a lot of vertical- just the way it is in towns like this. Driving in old towns is a bit odd for visitors new to this kind of town, so go to the Castel Svevo Aragonese; Casinita is just across the street. Having to leave to return home!!! 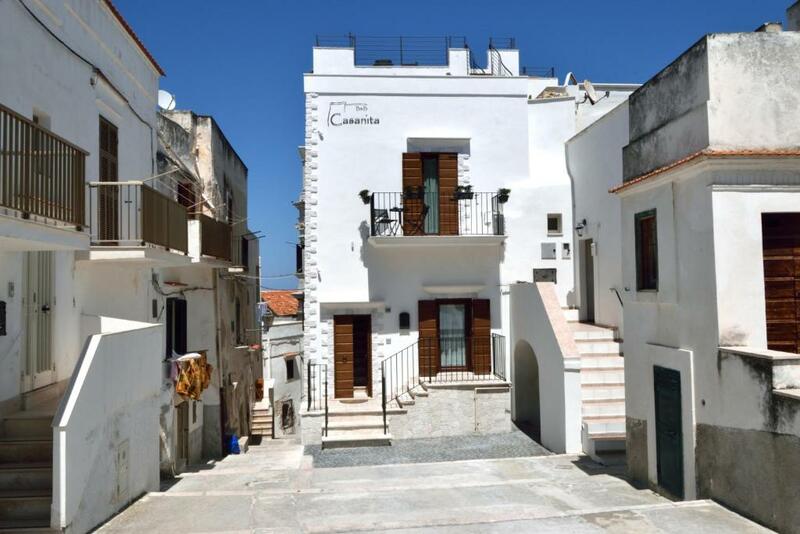 B&B Casanita is a beautifully renovated residence in the old town of Vieste. It is set right at the top of the old town with easy access by car at the entrance. The guest rooms are compact but beautifully finished with lovely touches throughout. The breakfast room upstairs open out onto a lower patio where you can dine outside and has access to an upper patio where you have simply stunning views of Vieste, the beaches either side of the town and views of Gargano National Park beyond. The best panorama in all of Vieste! Tania is a charming host who will help with any queries. Breakfast offers a wide choice of fruit, yogurts, cereals, delicious cheese, ham with fresh bread. There is a mini bar available in the kitchen to avail of an aperitivo at sunset! The old town is literally out the door and follow the narrow streets to your right, with a wide variety of restaurants within a few minutes walk. If you wish to visit this beautiful town, B&B Casanita will make your stay all the more comfortable and memorable. Situated on the highest and eastern most point of Vieste, this charming property also happens to be wedged between a beautiful medieval church and military fortress now used by the Italian navy. The view in itself was well worth the trip from Rome, but it was the hospitality of the folks who work there that made our trip. Tania was the most LOVELY and thoughtful host, tending to our every need, making us fresh apple fritters in the morning, buying local huckleberries from the Gargano forest. we even had the pleasure of meeting her beautiful daughter Alessandra, who proved to be as wonderful and kind as her mother. This trip solidified the magic of Italy, more than any other place we visited in the country. We cannot thank Tania and her unparalleled kindness, and for spoiling us with an INCREDIBLE room ( I could live in that shower !). We will never forget how magical B&B casanita was, and we can’t wait to come back with our own family !! All our love from NYC and hope to see you over here someday ! Expensive, but it is probably the best B&B in Vieste and you are getting a spectacular view from the 2 terraces overlooking Vieste and the sea. Parking may be challenging, depending on when you arrive, but once you park, you won't need your car. You're at the top of the hill, in the very heart of the old city.